Bright chest of drawer to add a pop of colour to any interior. TABORA is a wonderful piece of modern reclaimed wood furniture, it has two half-width drawers (with single handles) and three full-width drawers (with double handles). A stunning yet practical piece, which can be used as storage anywhere in the home. At Reason Season Time, we believe that bedroom furniture should be beautiful as well as practical, and we apply that principle to every piece of furniture that we select for our collections. This includes our solid wood chests of drawers, all of which are handmade from solid reclaimed wood. Making furniture from reclaimed wood means that each piece is unique and has a delightful aged patina. 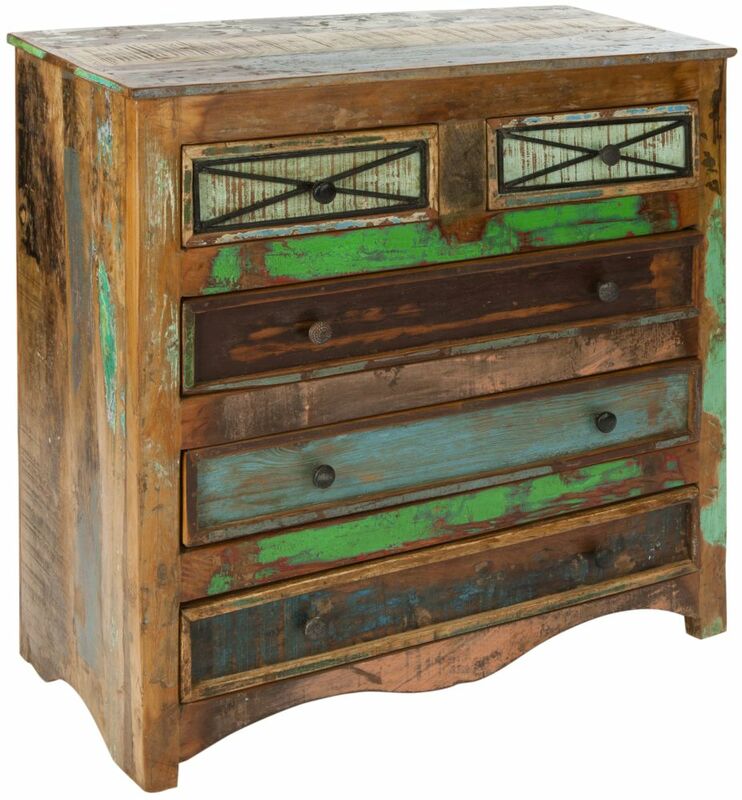 Although our chests of drawers are primarily made for the bedroom, they are such beautiful individual pieces that they would look great in any room and will suit many styles of interior décor, from rustic country to urban industrial.